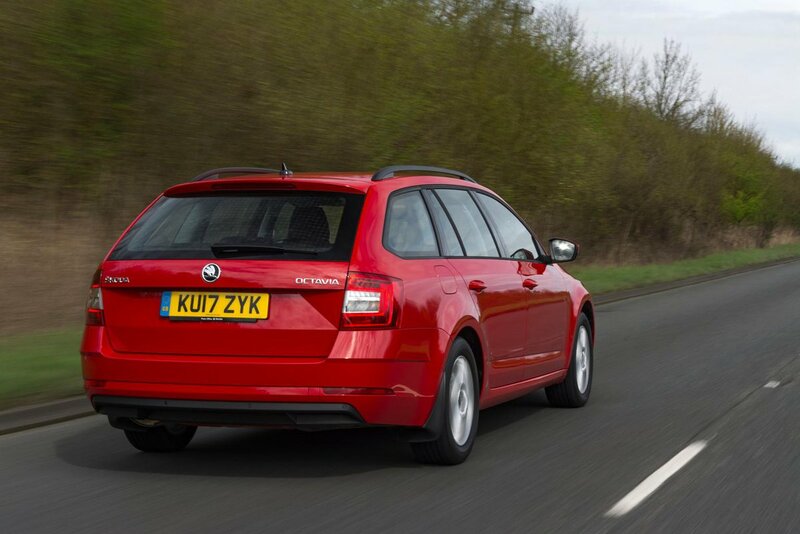 Skoda Octavia Estate Running Costs, MPG, Economy, Reliability, Safety | What Car? The Octavia Estate is very competitively priced against its rivals, and is about the cheapest way into a car of its size. Don’t discount the entry-level 1.0, either. It’s remarkably cheap and great for low-mileage drivers. Resale values, while not as good as those of a Volkswagen Golf Estate (which is almost as big), are still good by class standards, and may even better rivals such as the Kia Cee’d SW. The whole model range delivers extremely competitive fuel economy. The 1.6 TDI 115 diesel engine is the one to go for if you really want maximise this aspect, but for something with a bit more zip that still returns good MPG and has low company car tax, the 1.4 TSI 150 petrol is our top tip. The 2.0 TDI 150 diesel is also good choice. For speed demons the vRS models are great value, although they’re not the best hot hatches around. The off-road Scout variants are quite pricey, but come with lots of kit and frugal diesel engines with four-wheel drive. The Octavia Estate is available in S, SE, SE Technology, SE L and Laurin & Klement (L&K) trims. Hot-hatch models are badged vRS and the off-road biased version is called the Scout. Even the most basic S trim comes with air-conditioning, alloy wheels, an 8.0in touchscreen, Smartlink featuring Apple CarPlay and MirrorLink, Bluetooth, a DAB radio and a USB socket. There are a few key options you can’t add to S, though, which is why it’s worth stepping up to SE grade. So SE is our favourite for private buyers, because it adds rear parking sensors, manual driver and passenger lumbar adjustment, a front centre armrest, a multi-function steering wheel, cruise control, dual-zone climate control and rear electric windows. Despite this, it remains competitively priced. The one to go for if you’re a company car user is SE Technology. 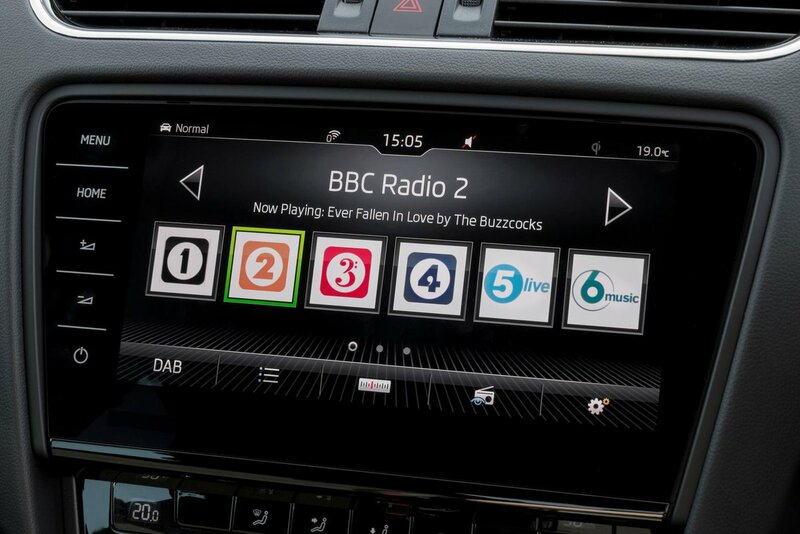 It includes an upgraded infotainment system with online connectivity that puts a range of downloadable information at your disposal, plus an in-built sat-nav and wifi hotspot. Front and rear parking sensors, adaptive cruise control and automatic emergency city braking are also standard. However, it is offered only with the 1.6 TDI 115 or 2.0 TDI 150 diesel engine, and restricted finance options. SE L trim brings Alcantara and leather seat trim, adaptive cruise control, LED headlights, privacy glass and a drive-mode selection switch. A nice added extra is the handy umbrella kept under the passenger’s seat. Meanwhile Laurin & Klement, as the range-topper, gets everything including automatic lights and wipers, an automatic parking system, an upgraded stereo, a 9.2in touchscreen, heated front seats, a heated steering wheel, electrically adjustable front seats with memory, park assist and lane assist. However, while it’s lavishly equipped, it’s also too expensive to recommend. Scout models feature similar equipment levels to the SE L trim, with some additions such as lane assist and cruise control. They also feature off-road styling and an off-road drive mode to enhance the standard four-wheel-drive system’s capabilities. Disappointingly they don’t get the variable boot floor, though. Sporty vRS models have sports suspension, sports seats, LED headlights, 18in alloys, cruise control, lane assist and more aggressive-looking bodywork. The Octavia Estate’s standard, three-year, 60,000-mile manufacturer’s warranty is pretty average these days – Kia offers seven years or 100,000 miles on its equivalent Ceed model. You can pay to extend the Octavia’s warranty up to five years and 100,000 miles, and fixed-cost servicing is available to cover the first three years. 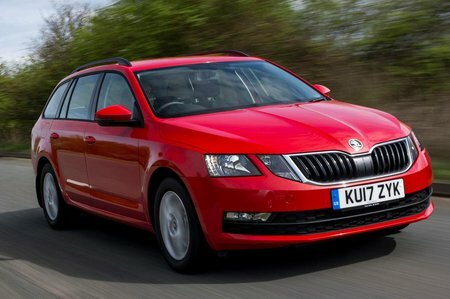 Skoda as a manufacturer does do well for reliability though, placing near the top of our most recent reliability survey. All Octavia Estates have seven airbags as standard, and rear side airbags are available as an optional extra. Other standard safety features include stability control, hill-hold assist, tyre pressure monitoring, which alerts you to a slow puncture, and a system that automatically brakes the car in the immediate aftermath of a collision to avoid a second impact. SE L and Laurin & Klement models also get Front Assist – a system that senses if you’re about to hit the car in front or a pedestrian and alerts the driver, before braking the car automatically and bringing it to a stop if necessary. It’s available as an option on the rest of the range. Blind spot detection and rear cross traffic assist, which automatically stops you if you’re about to reverse in to something, became available from 2017 models onwards. The Octavia Estate received the full five-star crash test rating from Euro NCAP. An alarm and engine immobiliser are fitted to every model, and security experts Thatcham Research has rated it highly for its resistance to theft and break-in.